Sugar pumpkins or pie pumpkins are arriving at supermarkets & farmer's markets right about now. With the start of Fall it seems so fitting and very much of the season to roast a few of these delicious squashes for pies, custards, breads or muffins. So simple to prepare for us to enjoy, it's no wonder I roast several of them whenever I get the chance to do so. Pumpkins contain a lot of beta carotene which converts to essential Vitamin A that we need for good overall health. One cup of this flesh contains in excess of 500 mg. of vital potassium (per the University of Illinois), so why not take advantage of some now? Having cup after cup of smooth puree at my disposal (I keep it frozen in one cup portions) enables me to whip up a batch of pumpkin bread or some tasty pumpkin custards should the mood strike me. Canned pumpkin is a convenient foodstuff which I highly recommend keeping in stock in one's pantry. It's reliable, consistent and quite good. Having homemade roasted pumpkin puree, however, can't be beat. When you see how simple and hassle free it is to prepare, you're going to want to roast a few pumpkins this week. Look for them the next time you're at the market. Using a sharp chef's knife, carefully slice the pumpkin in half lengthwise. Scoop out the pumpkin seeds into a bowl using a large spoon. I keep two bowls for this process. One is used to collect the seeds and the other is used for the fibers which have to be removed. As soon as you've removed every seed, scrape out those fibers using the same spoon. You really want to get in there and carve them out; keep a kitchen towel nearby as this is a slippery job. The left half shows a cleaned out pumpkin. The right one is not ready to roast just yet. If you have small squashes, you may be able to fit 4 halves. Depending on the size of the pumpkins, total roasting time will be between 30-45 minutes. Use a large knife to test if they're ready. When fully cooked the knife will slide right through with no resistance. Cool on racks until you're able to handle them. This is what they look like. Aren't they tempting? Scoop out the flesh & place it in a food processor. Pulse until it breaks up and process until smooth. You may need to scrape down the bowl a few times to get it moving. The puree is as smooth as can be and is now ready for a number of recipes or for freezing. Enjoy every bit of it! Pie pumpkins are on the small side, making them the most tender & suitable for all of your pumpkin recipes. Medium to large carving pumpkins meant for jack-o-lanterns are not appropriate for baking or roasting, because their flesh is too watery and insipid. Save those for your creative and crafty ideas around your home this Halloween. If you do happen to spot sugar or pie pumpkins in the coming days, purchase a few, slice them in half, clean them out and roast them until tender. Once the flesh is pureed until smooth, you can then proceed with your favorite recipe or freeze the pumpkin for future use. Now is the time to start filling our homes with the aroma of spice and the scrumptious flavor of pumpkin. A simple thing to do, a delicious thing to eat, roasted pumpkin is one﻿ of this season's best and sweetest things to make. 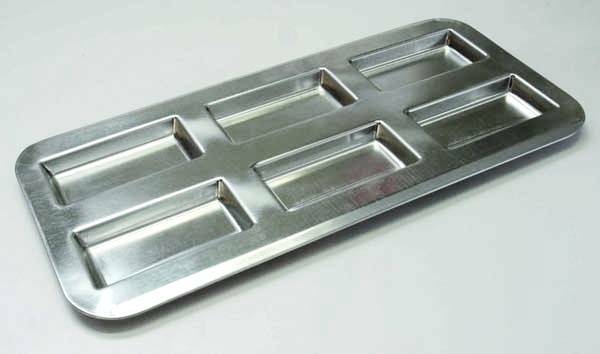 Specialty baking pans and molds are designed for specific breads, cakes, custards, pastries and cookies. Pandoro molds, pots de creme cups and kugelhopf pans are but a few of the pans I'm referring to, which may or may not be familiar to you. Many bakers, like myself, have some of these pans in their kitchens, because we enjoy using them throughout the year to make the most delectable treats. Professional bakers and those who are passionate about their craft will more than likely have everything on this list I've compiled. For them, the pans are not extras, they are necessities and essentials to their baking, testing and creating. I feel it's important for every baker, whether a novice or a more experienced one, to expand their knowledge & vocabulary when it comes to this subject. Knowing what a pan is for and what one should bake in it might encourage more of us to try new recipes and broaden our baking repertoire. Why shouldn't we attempt a savarin at home or a few plump baba au rhum for our next dinner party? Those delicious little madeleines you've enjoyed from the local bakery may have piqued your interest and desire to make some in your very own kitchen. 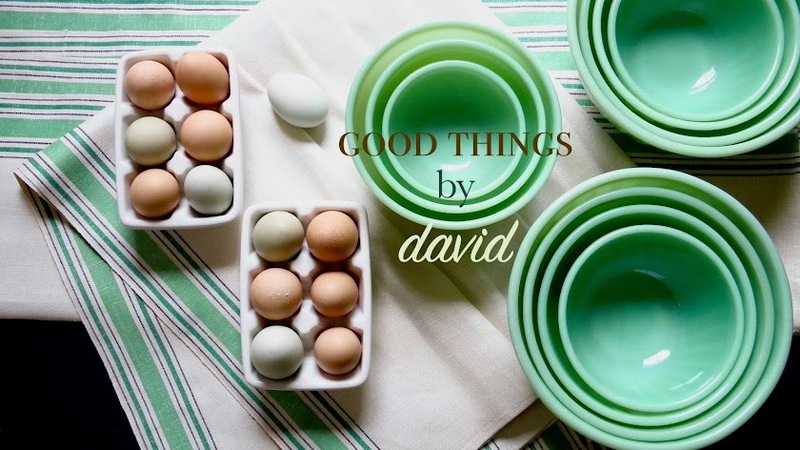 If you know what to look for when considering these pans & molds, and you acquaint yourself with the options out there, shopping for them online or at your favorite kitchenwares store will be effortless. 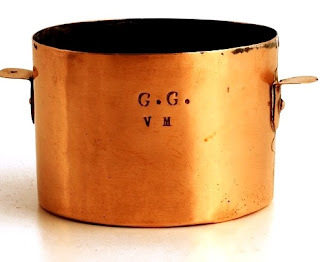 While many of the classic shapes & styles have not changed in the decades these pans have been in use, some have seen a small modification in size, design and material used in construction, meant to appeal to the way we bake now. The choices one has are indeed extensive, so it really comes down to what your preferences dictate. How you assemble and amass your tools & pans depends on your baking style. 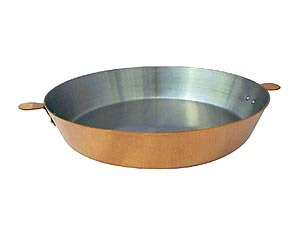 Many of these pans are made out of heavy duty anodized aluminum (this minimizes corrosion and strengthens the pan's surface), with or without a nonstick finish. 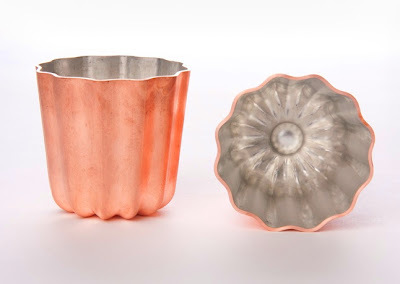 Others come in tin-lined copper, porcelain, glass, tinned steel, ceramic and even in nonstick silicone. Nonstick silicone pans & molds are quickly gaining popularity with many bakers because of the ease with which baked goods release. Although this isn't a complete list of what's available to the consumer, I think it's worth taking note of the basic specialty pans I enjoy using in my kitchen. 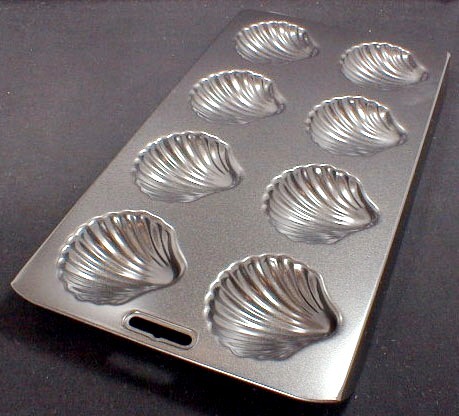 These molds bake tiny French cakelets, originally from the Bordeaux region, called canneles. Essentially these are made out of a crepe batter which produces a crusty outside while keeping a custardy inside. They are delectable and among my favorite treats of all time. Copper is traditional because it is a great conductor of heat, but these molds can also be found in aluminum and silicone. The latter will not produce dark exteriors that are desirable in these pastries. 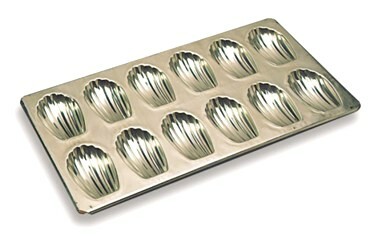 Meant for to be filled with pastry, these little pans produce bite sized tarts that can be eaten out of hand. French patisseries are famous for their diminutive sweets which everyone loves and for the home baker, these make it easy to entertain large crowds. 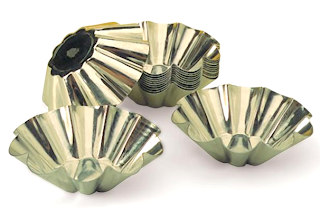 Barquette molds are named because of their boat shaped appearance, which may or may not have fluted sides. 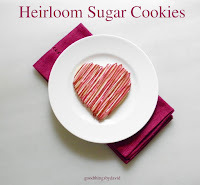 They are suitable for both savory & sweet tarts. It's advisable to get double the amount of pans needed because one always places the extra mold on top of the one containing the crust during blind baking. These plaques come in a variety of sizes and shapes, some with only 8 cavities and others with up to 24. 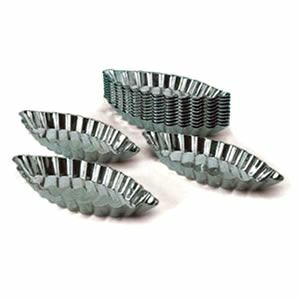 They are essential for making madeleines in all sorts of flavors. The spongy, cakey cookies are best eaten as soon as they come out of the oven, for they stale quickly. Traditionally, they come in shell shapes and are either available as mini madeleines or regular-sized madeleines. Tinned steel pans are traditional, but they are also available in nonstick anodized aluminum and even in silicone. 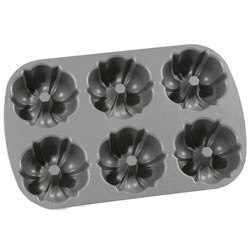 These molds are meant to bake tiny French cakes that are somewhat similar to madeleines. Financiers typically have some type of nut flour added to the batter and almost always contains browned butter (beurre noisette). The rectangular shape is traditional and is said to resemble bars of gold. This pan makes shaping professional-looking biscotti cookies a breeze. One simply pats the dough into the pan for the first baking until the entire bar is set. The cookie is then removed and sliced to a certain thickness and placed on baking sheets to dry out during the second baking. Baba au Rhum are small yeasted cakes traditionally containing raisins, which are soaked in rum after baking and are either accompanied & filled with whipped cream or creme patissiere. Somewhat similar to to babka & brioche, these tiny breads are much richer. 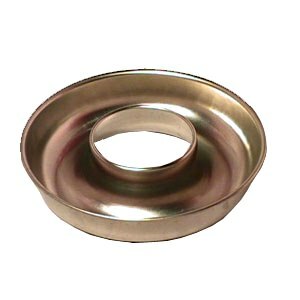 Traditionally, they are baked in these cylindrical molds which give individual portions, but the dough can also be placed into a savarin mold (below). 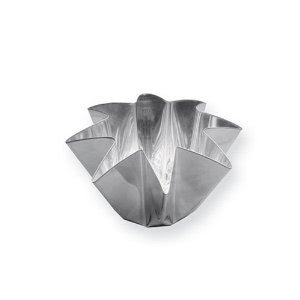 Popovers are loved by many; Neiman Marcus is famous for them! They are breads baked in cylindrical molds which cause the batter to "pop over" the top when completely done. They are light & ethereal, and actually have a creamy, hollow inside. These can be eaten for breakfast with jam & butter or they can accompany a savory feast. Brioche dough is versatile enough to be baked in just about any type of mold. Brioche Nanterre is baked in a loaf pan and emerges from the oven with a multi-domed top, but Brioche Parisienne have to be baked in flared & fluted pans like the ones above. 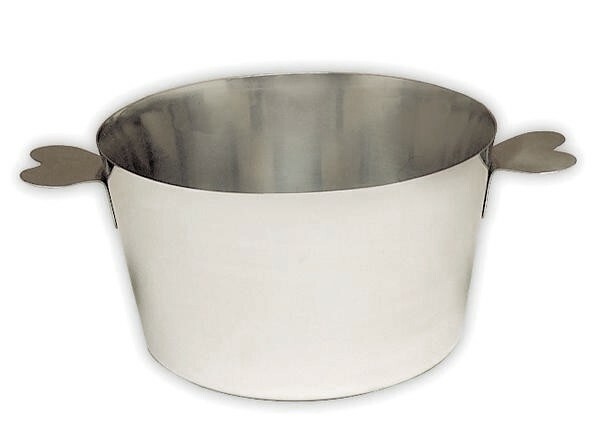 Made out of tinned steel, the pans come in a variety of sizes. The smaller ones are meant to make the famous brioches a tete (brioche with a small head) and the larger ones create a more substantial bread. 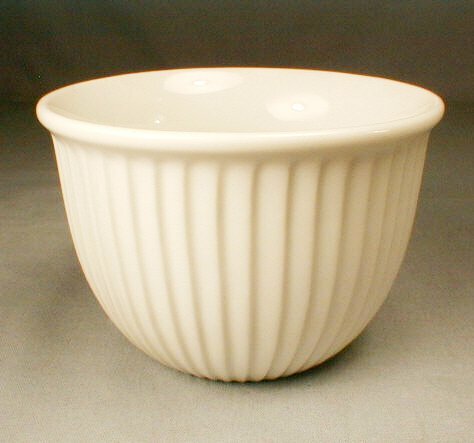 Savarin molds have been around since the 19th century. The picture below shows an antique copper one from that era and the one above shows a contemporary pan. As you can see, the shape hasn't changed much. Savarin cakes are essentially large baba au rhum, but these do not contain raisins. The cake, which is soaked in a rum syrup and filled with pastry cream, is named after 18th century French food writer Jean Anthelme Brillat-Savarin. Kugelhopf, Gugelhupf or Gugelhopf are yeasted cakes very similar to brioche. These dry cakes which contain raisins and almonds hail from the regions of Alsace, Switzerland, Germany & Austria. 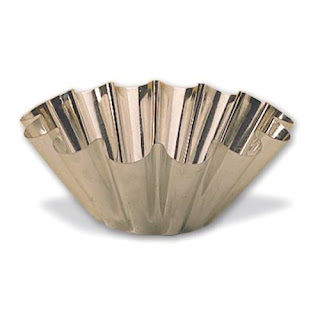 They are baked in fluted tube pans very reminiscent of the bundt pans we know in this country. The fluted, swirled top is the gugel (hood). Steamed puddings are usually made around the Christmas holiday. I personally make it a tradition in my home to make at least one of them for that time of year using one of my many molds. These shapes have not changed in the century or more they've been in use. Smaller in size than bundt pans, but similar in construction, these molds usually have a lidded top meant to cover the pudding as it steams in a kettle or stockpot. Gentle simmering produces a very moist pudding. The most famous of these steamed puddings is, of course, plum pudding. Charlottes or Charlottes Russe are desserts made by lining sponge cakes (ladyfingers) or bread along the bottoms and sides of the charlotte mold, and then filling it with either a fruit puree or a custard. The entire thing is then chilled and flipped over & unmolded onto a platter right before serving. 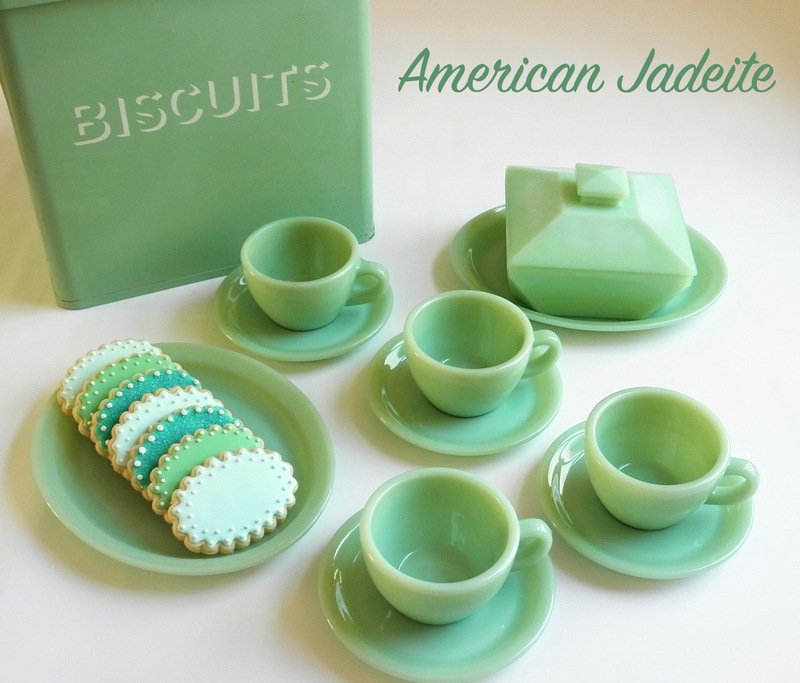 Julia Child was the one who introduced us to these decades ago. The pans have either straight or tapered sides with two hear-shaped handles which makes the unmolding & flipping of the dessert a lot easier. Pandoro or Pan D'oro means golden bread. This is also similar to brioche dough, but is really an Italian bread baked around Christmas & the New Year in an eight pointed star-shaped mold (above). Baked by the thousands by every reputable Italian pastry shop, these are available in this country at specialty shops and by mail order. 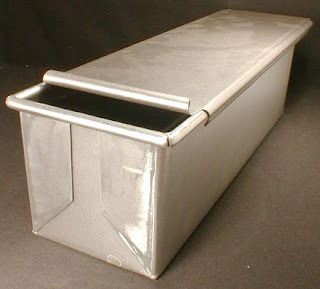 A tinned steel pan is traditional and the bread dough itself is not difficult to make at home. Dusted with confectioner's sugar right before serving, pandoro makes a most delicious accompaniment to coffee or espresso. 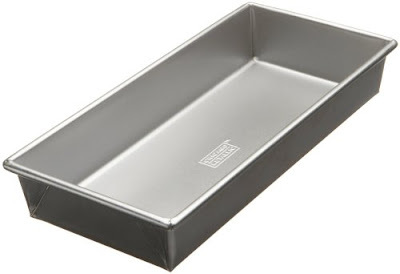 This pan is meant to create a square white bread for sandwiches & canapes. The dough is placed inside the pan & is left to rise and bake with the lid closed, thus compacting it and making it dense. The pans come in about two or three sizes. Choose what's best for your household. Panibois molds are made of poplar veneer with glues which make them heat tolerant and biodegradable. All come with parchment linings meant to hold the batter. 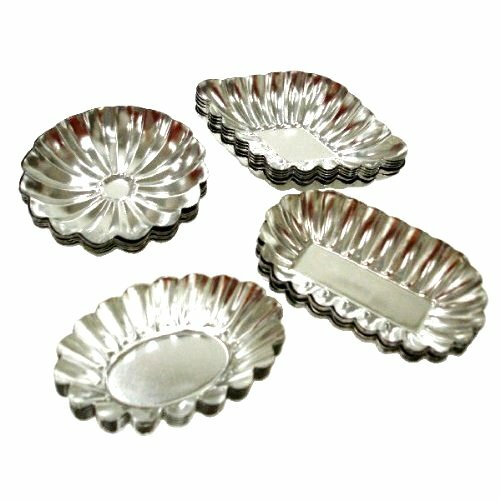 Available in a variety of shapes & sizes, these pans make gift giving such a pleasure because after baking & cooling in the pans, the entire bread can be wrapped in cellophane for a nice presentation. Tarte Tatin is essentially an upside down apple pie. The pie dishes are made out of copper, aluminum or cast iron. Apples are fanned out over a caramel and are topped with a buttery pate brisee. The entire thing is baked and flipped over right before serving. It's a homey dessert that is highly delicious. Some pans do come with a lid which facilitates the flipping process. Souffles depend on straight sided vessels to achieve their dramatic height. 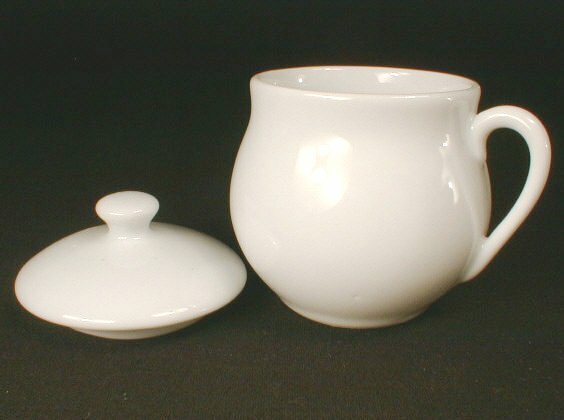 Porcelain souffle dishes come in a variety of sizes and capacities making it possible to bake individual souffles or a much larger one. The bottoms of these dishes are left unglazed in order to absorb heat more quickly. 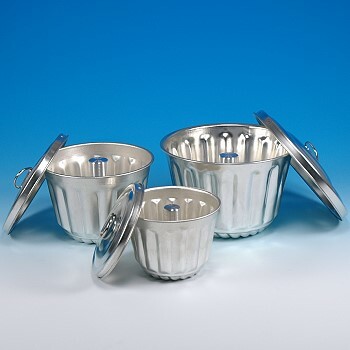 Pots de creme cups have a lidded top designed to gently bake the lightest of custards in a bain marie. 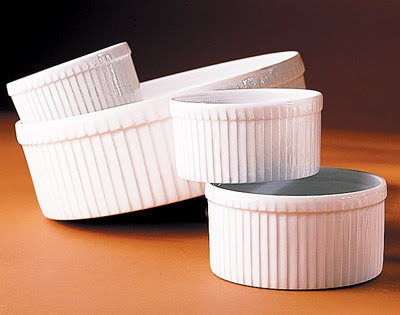 The lids can be left at serving time or they can be removed. A variety of styles can be purchased. This is a typical oven-proof custard cup that can be placed in a bain marie. 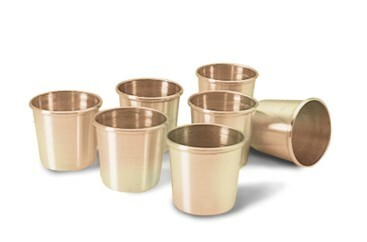 The cups can also hold cold puddings that aren't mean for baking, such as banana custards. Available in porcelain or glass, it's always nice to have at least 6 or more of these in one's kitchen. You don't need me to tell you what to bake in these. 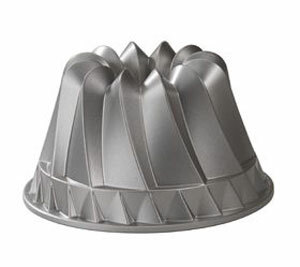 I love the variety of styles & shapes available for mini bundt pans. It's so easy to make batch after batch of these cakelets to enjoy at home or for a bake sale. 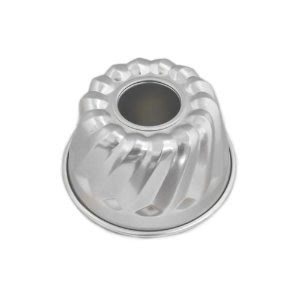 Nonstick anodized aluminum is typical, but I'm finding these in silicone at most kitchenwares stores. 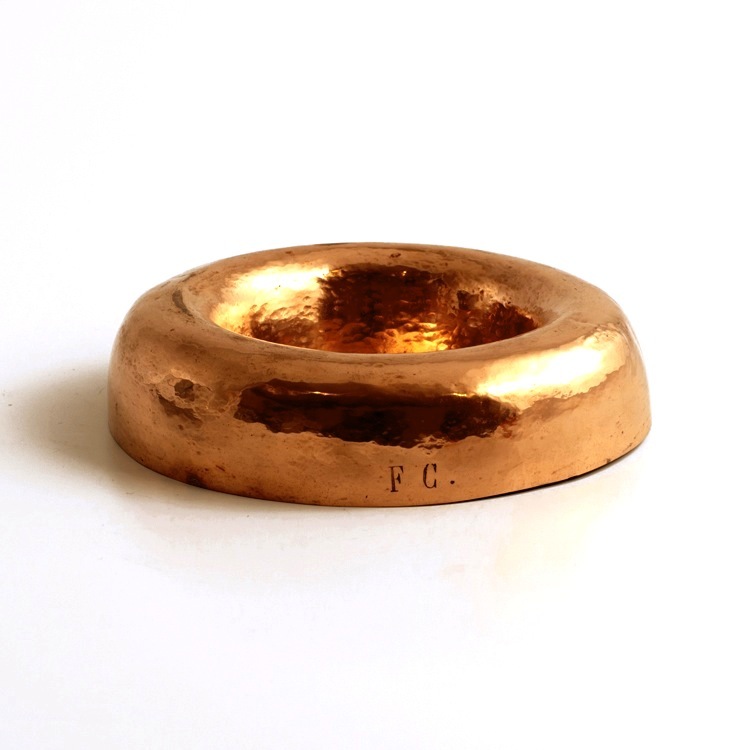 These food grade molds are made out of flexible silicone which makes them virtually nonstick. One has the option of many styles and designs for this type of pan/mold. 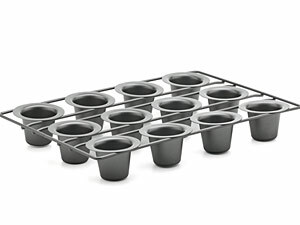 They are generally more expensive than their aluminum counterparts and do require that one use a baking sheet underneath to keep the molds flat while baking. A downside to these pans, in my opinion, is that baked goods do not get the desirable golden crust that make many pastries visually appealing. Many professional bakers swear by these molds and are used in a lot of industrial baking. With more of us trying to reduce our carbon footprint these days by taking certain measures in our daily lives, I feel it's important for every household to line dry their laundry either all of the time or at least part of the time. Line drying at home has been a way of life for us ever since we moved into our first house. It's just always made sense to me, because it's how mom used to dry her laundry while I was growing up. She had a dedicated area at the side of the house with a built-in clothesline for the weekly wash. Mom dried her laundry this way more out of a sense of economy than anything else. My utility/mudroom in the annex provides plenty of space in which to line dry indoors. It is bright with plenty of windows to provide cross ventilation if I open them; this dries things quickly! Now that I'm older I too want to economize as much as I can, while reducing my energy consumption at home. Line drying is undoubtedly one way to go about this and is in keeping with the notion of "being green". Although I don't have a built-in clothesline like mom had in her former home, I do make use of collapsible racks to dry most of our laundry, placing them either in my bright, sun-filled mudroom or on the porch of the annex, depending on the weather. It's good knowing I don't use one watt of electricity to dry my laundry most of the time. Beyond the multipaned door lies the porch. It's a breezy spot that allows me to effectively line dry without the use of power. Don't think that I completely go without a dryer. There are instances when it is absolutely imperative to employ the dryer, such as when it's damp & humid outdoors. If I'm drying heavy items like comforters, bath towels or jeans, I give them a head start in the dryer before making use of my racks to finish the drying. If the laundry has to stay indoors because of the weather, I make sure I strategically place those collapsible racks near a vent to dry with the air conditioning in summer or with the heating in fall & winter. I take advantage of the outdoors on dry, hot days or when a light breeze is blowing through. It's a pleasure doing laundry this way. Washing delicate items (sweaters, undergarments, antique linens, etc.) also requires gentle drying. Having a rack or two enables us to dry these pieces effectively without the fear of destroying or shrinking them. I love handwashing my collection of antique & vintage linens in the deep sink of the utility/mudroom and then carefully placing them on those handy racks as soon as I'm done. I don't have to worry about them being mangled or ruined in my washer or dryer. Another nice thing about line drying is that wrinkles are minimized on most items, making the task of ironing them a lot easier. This deep sink is where I handwash the most delicate items. It's deep enough to hold plenty of dinner linens. When not in use, the racks collapse to mere inches. I either leave them here or store them in the linen closet opposite the washer & dryer. The key to line drying with success is to do laundry throughout the week, rather than waiting for the weekend to do load after load of laundry. I find it more efficacious to do laundry once a day and only when I have a full washer to load; the laundry is always separated by color & type. If your home relies on a septic system like mine, it's helpful to do laundry this way. One doesn't want to overwhelm these tanks with multiple loads of laundry, so it's best to space them evenly on a weekly basis. A clean mudroom is a touchstone of good homekeeping. If you already line dry part of your laundry or all of your laundry, cheers to you! As you can see, it doesn't take much to be more environmentally conscious in one's everyday life, especially when it comes to drying laundry. With one, two or more of these racks placed anywhere there is room in the home, one can achieve a greener approach to laundry. Line drying makes sense both economically & ecologically. My hope is that more and more of us attempt to become less dependent on dryers that consume a lot of energy and move toward a more natural way of drying laundry. Line drying is a green thing, an easy thing, a smart thing and a good thing. Make this approach to laundry keeping your good thing for a better life. The grounds around our home are still thick, lush & verdant, yet I can already sense the approach of Fall around me. Nature is making it known in small, subtle ways that change is in the air and that the end of summer is upon us. I'm relishing in the last of those large ripe tomatoes from my farmer's market, thinly sliced on top of crostini, sprinkled with a bit of fine sea salt & drizzled with the fruitiest of extra virgin olive oils; this is a marvelous appetizer. Although the sweet white corn from the Amish farms in Lancaster County is finished until next year's crop, we are now enjoying their deliciously crisp apples by the pound! I must make something with them very soon. A lovely butterfly is enjoying this native Joe's Pie Weed. I don't know about you but I welcome the change of season with gusto, because it seems to usher in the colors, flavors & aromas I find to be the most comforting. It is right about now that I begin to think about the approaching holidays and all of the sweet goodness that comes along with them. A certain someone has already requested my pumpkin custards even before Thanksgiving, so I will have to get to them pretty soon to satisfy that craving. You can see it's face more clearly here. The butterfly didn't mind one bit that I was photographing it, because it was too busy with the flowering plant. In order for me not to get overwhelmed in the coming months with all of the cooking, baking & gift giving that comes along with the holidays, I take a few moments right about now to make a few lists of what I feel like trying & giving (I know more lists!). The old standbys always get made, but I also like to include several new recipes, either for Thanksgiving or Christmas, that seem good to me or those which catch my attention from magazines, cookbooks or online. I don't want to make anyone feel pressured, but it might be a good idea to make a tentative list of some of the things you'd like to give or the recipes you'd like to try. Crafters who want to embark on an ambitious project can certainly begin to formulate their ideas & perhaps even start them now. Over a dozen of these plants surround the patio of the bank barn. On this particular day, even the bees were relishing in their sweetness. These pot grown tomatoes were given to us by neighbors at the beginning of September. They made the tastiest of salads; sliced in half over a bowl with the juices, drizzled with olive oil & balsamic vinegar, salt to taste. Superb! Even 'Lion' is enjoying the warm sunbeams on top of this cozy bed. He can be here for hours at a time and not move an inch. I recently photographed our surroundings during one of my daily walks with the hopes of showing you what this part of the world looks like right now. It's always nice for me to take note of the transition the landscape goes through this time of year, because I eagerly await to see if the foliage will be spectacular. We had a lot of rain last year and weren't graced with with the beautiful colors of years past, but I'm hopeful that this season will see a return to the splendor we love in the Northeast. This lovely lavender is still in bloom and so fragrant. With their delicate petals & vibrant hues, the lavenders that surround the slate walkway in front of our home attract a lot of attention from the bees & butterflies. The driveway is still surrounded by a green background. If you look closely though, you can already begin to see some of the leaves turning from a deep green to a chartreuse. I can't wait! A few of the Dutch split doors to the barn were opened on this particular day because we had a visiting guest working there. This is one of her sketches which will become a painting in the coming months. As I was walking up to greet our friend Cathy, she had this sketch rolled up with a large beetle in it. She had found it inside the barn and decided to let it crawl onto the paper in order for her to let it out. I continued my way up toward the field. The meadow had been mowed about a week before & everything smelled so fresh & clean. You can see a few patches of grass along the hill changing color. The new galvanized steel gutters & spouts seem to be holding up well along the western wall. The leaf pigments of this tree are already beginning to change color. In a few more weeks, I expect it to be devoid of all green. The meadow is such a pleasure to walk on in the spring & summer. Although I didn't photograph the area this year, you can still see what it normally looks like if you revisit last year's post by clicking here. Once we near the beginning of Fall, the entire area is mowed one last time. It will now be ready for the colder months. It's amazing how fragrant & gratifying it is to walk around here. I suppose the comfort I take in the smell of hay stems from when I was quite young. Mom & dad allowed me to raise rabbits when I was a child, so I always kept a bale of hay or two to feed my pets everyday. The walking path is clearly delineated from the rest of the field. I was hoping to run into some deer when I was photographing, but unfortunately I did not. I'm almost at the other end of the meadow here and if you look closely toward the middle, you can see the stone barn. It's as if the hill is swallowing it up. At the other end of the field the barn completely disappears over the rolling landscape. Normally, the area is abuzz with activity from insects, birds & other wildlife. On this day, however, it was very calm & quiet. Progress! Many native trees have been planted to repopulate this bare area and if you look closely, every single trunk is protected from being eaten by the local deer. This is a better picture of what I mean. If you live in the Northeast, these may be familiar to a lot of you. Can you guess what it is? It's actually a black walnut still in its husk. The trees can grow to be over 100 feet tall and will produce fruit when they get to be about 5 years old. The casings are really tough and laborious to crack open, but the nutmeats are extremely tasty (they're great for baking). They stain anything black very easily and often times I find the remains of these scattered around our home, eaten by the thousands of squirrels who love them. Enjoy the last days of summer everyone!